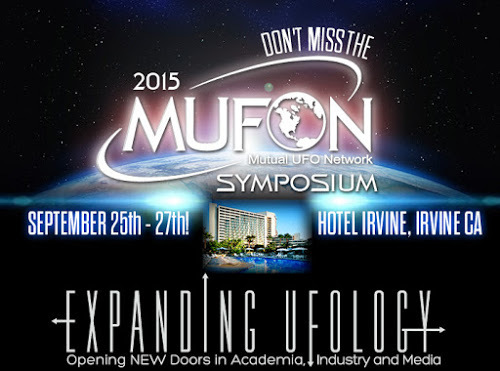 On September 25, 2015 I was at the Mufon symposium in Irvine California staying at the hotel where it was being held. We have just finished the banquet. A few of us were sitting in the lounge talking and enjoying a drink. I ordered a beer but only drink a couple sips of it and did not have anymore to drink that evening. The DJ who played music and a group of us started dancing. Around 11pm I went to my hotel room because I was attending a workshop early the next morning and wanted to be well rested. I went into my hotel room and the person I was sharing it with was already in bed. I fell asleep quickly. Around approximately midnight I was woken up and felt like I was floating out of the hotel room. I remembered standing outside of the hotel room on the rooftop looking back into the window at my roommate laying in bed. Inside the room with him I could see three gray aliens standing by his bed holding his leg and giving him some sort of an injection. I was pounding on the window yelling for him to wake up. I also was trying to find a way back into the hotel. When they were done working with my roommate they came back out to the rooftop where I was and then I noticed the large cigar shaped craft hovering above the hotel. I knew they were going to take me on board but I did not want to go without C coming with me. I begged for the grays to let me take C with. Because I wanted him to be there so that he would remember this happening as well I did not want this to just be my memory. I had also asked because I was afraid and wanted C to be there and help talk me through this experience. C was then removed from his hotel room as well. At least seven other people were also removed from the hotel and boarded onto the cigar shaped craft. Onboard all of us were placed in chairs which resembled Beauty salon chairs with hairdryers above them. We were all restrained in the chairs and the parts that looked like a hairdryer was placed over each one of our heads and it fit very snuggly. I was placed in a slightly separate chair from everybody else. I was also restrained but they placed more sensors on me than they had used on the others present. Fright junkies discovered more than they bargained for at a haunted house attraction over the weekend, when they stumbled upon what they thought was part of the show. The Fright Night Haunted Dreams attraction in Austin, Texas brought in hundreds of people looking for a good scare this Halloween season. But on Friday night, this “Haunted Dream” maze turned into a reality for one teenage boy. David Williams-Jones was attacked by thousands of the insects after accidentally stepping on their nest. The 42-year-old, who is from Bassaleg in the south of Wales, had been visiting the Kenfig National Nature Reserve in Port Talbot with his 10-year-old son Harvey when the incident happened. "My son began running and thankfully got away, but I was attacked by a swarm of hornets that kept stinging me despite me trying to flee," he said. "They could’ve killed my son if he hadn’t got away." By the time he managed to reach safety William-Jones, who has since been attempting to raise awareness about the dangers of hornets, had been stung by the insects 37 times. "Even weeks after the incident, the attack has left me traumatised and it has had a massive impact on my life as I sometimes have visions and nightmares of flying insects attacking me," he said. "My ordeal was complete and utter hell and I would hate for anyone to have to go through what I went through." A unique watch worn by astronaut David Scott during the Apollo 15 moon mission has been sold at auction. With its scratched face and wristband still covered in traces of chalky-white lunar dust, the historic timepiece has this week become the most expensive item of astronaut memorabilia in history after the winning bidder paid a whopping $1.6 million for it during the auction on Thursday night. "We are extremely pleased with the results and honored to have been able to offer such an historically important timepiece," said RR Auction's executive vice president Bobby Livingston. Scott had worn the watch on the moon as a replacement when the NASA-issued Omega Speedmaster timepiece he had been using broke following his first two moonwalks. "Among the decisions I made, the monitoring of time was perhaps most important," he said. Below is a video of what is perhaps Scott's best known lunar experiment - dropping a feather and a hammer together to prove that they fall at the same rate in the absence of any air resistance. 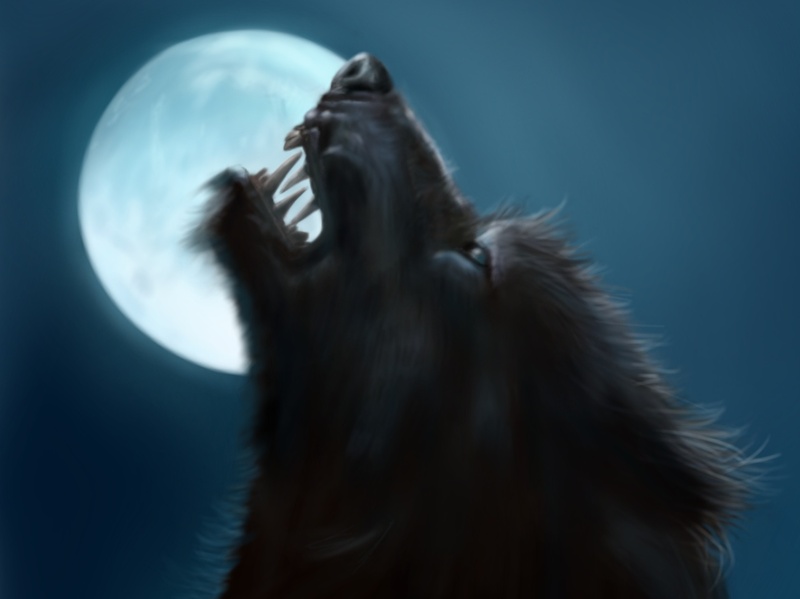 What Makes a Good Werewolf Story?